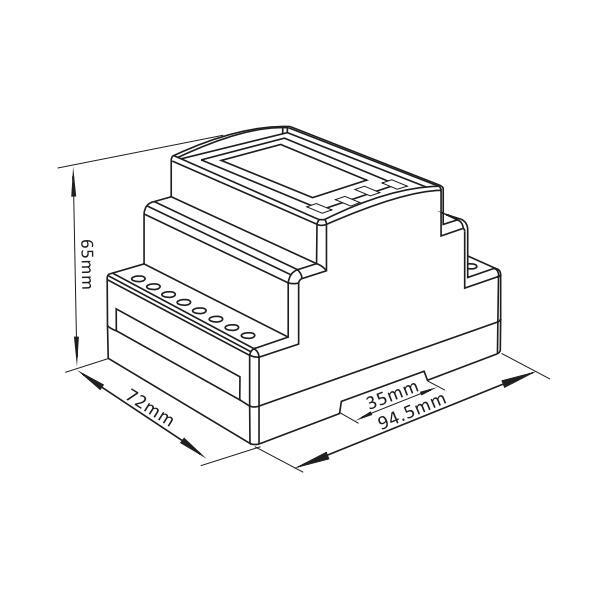 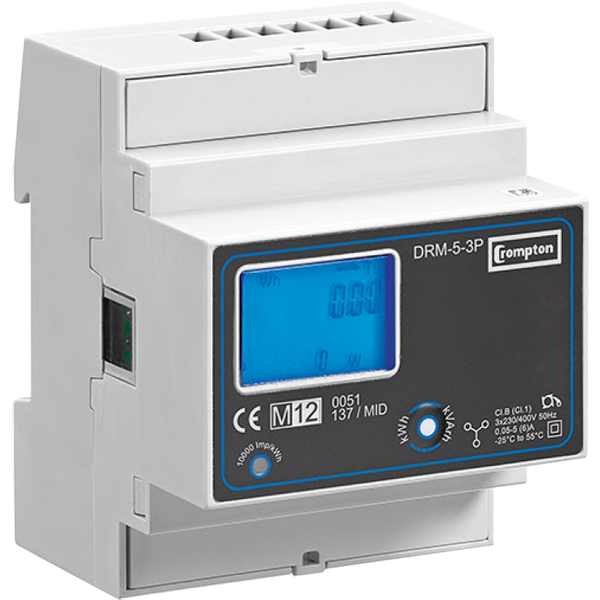 The SDM630MCT from Eastron is MID approved and has a 5 Amp current transformer input. 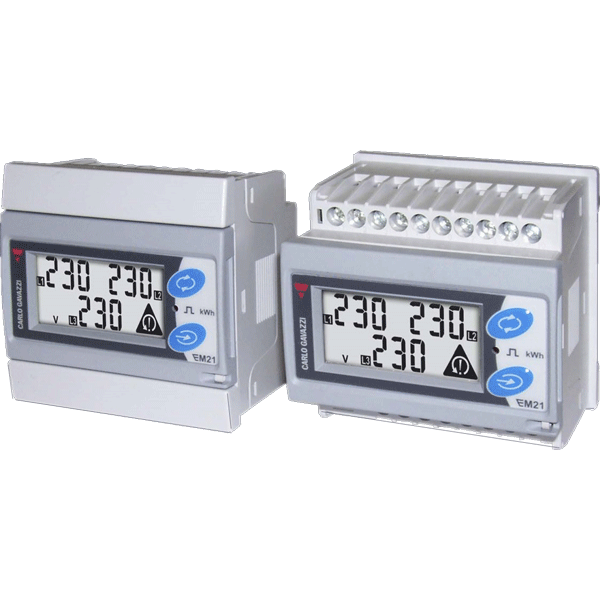 This 4-module wide DIN rail mounted meter is feature packed, flexible on installation and very price competitive. 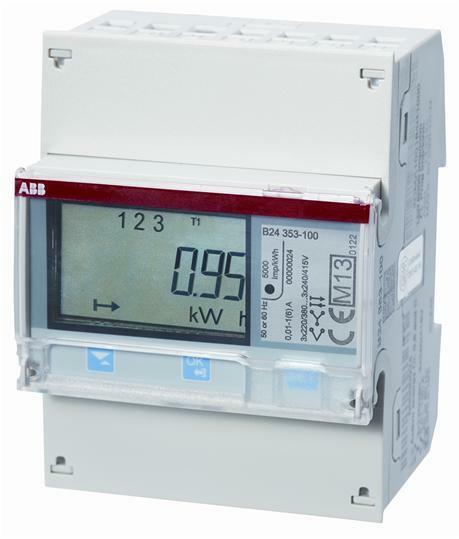 This meter displays a broad range of power data including Active Power (W) by phase, Active and Reactive Energy (kWh & kVArh) for both Import and Export, Power Factor (PF), Frequency (Hz) and Harmonic Distortion up to the 31st harmonic for both Current & Voltage. 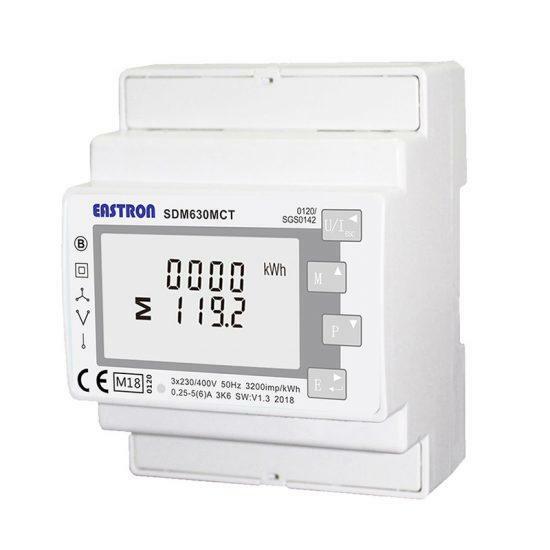 In addition, this meter has 2 pulse outputs for logging kWh and kVArh as well as a Modbus RS485 output, making it perfect to integrate with Building Management Systems (BMS).